Ghostwatch is twenty years old this Hallowe’en and one man’s mission to reunite the creative forces behind the spellbinding and rightly famous broadcast is almost at an end. I’ve written about the show before for a seasonal Video Vault and had the chance to talk with writer Stephen Volk about Ghostwatch and the resurgence of the found footage subgenre which came after it. Trawling through the Horror category of your local Netflix and Lovefilm emporium you can’t escape the fact that for every Blair Witch Project there are a dozen Paranormal Entities; the method of filming has unfairly become shorthand for lazy, reductive filmmaking. When Ghostwatch appeared it was the first time the (then) modern idiom of the outside broadcast and studio bound ‘reality’ TV show was subverted. Friendly presenters and a bank of phone-in desks were commonplace on the Beeb back then and though the prism of a haunted house was something new the set up was cosy and familiar. As the events of the evening took their unsettling turn that sense of familiarity collapsed and one of the most brilliantly achieved ghost stories unfolded. 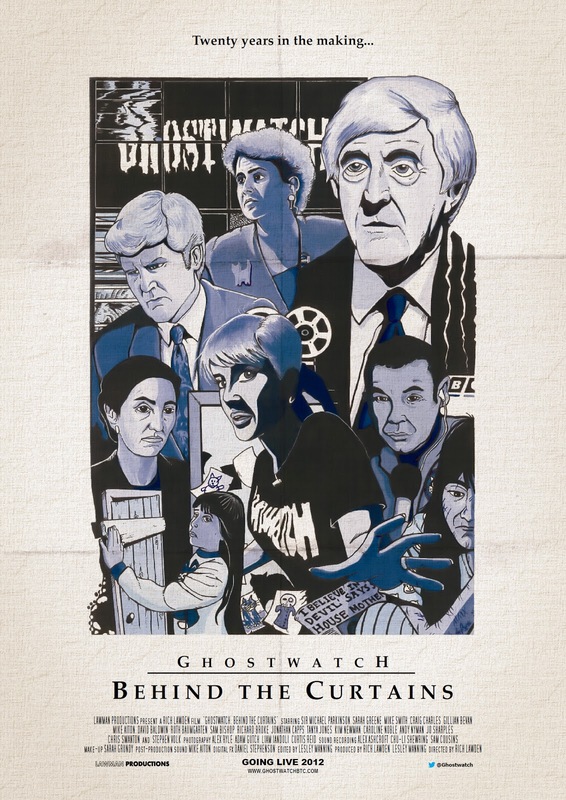 For the last few years Rich Lawden has worked to bring the story behind Ghostwatch to its legion of fans. Having brought Volk and director Lesley Manning on board at an early stage Lawden has been updating his progress on the many interviews he has conducted over the years on the Behind the Curtains website and this week he released the first trailer for the project. Seeing the familiar faces twenty years on recalling the programme with a sense of fun and reverence the show commands will be a fascinating experience. The documentary has no fixed release date yet, but it will be within the next two months so keep your eyes on that site. In the meantime if you’re keen to relive the glory(hole) days you can join in with other Ghostwatchers in the annual national séance and tweet along as you watch the programme at the time it originally aired. Twenty years ago Ghostwatch affected me like no other TV programme before or since. I still watch it every year, still hope to find another secret sighting of Pipes and though I now feel very old I’m delighted that the documentary is almost here.